I sat down recently with Mayo Clinic’s John Davis to discuss some key issues facing rheumatologists and patients. 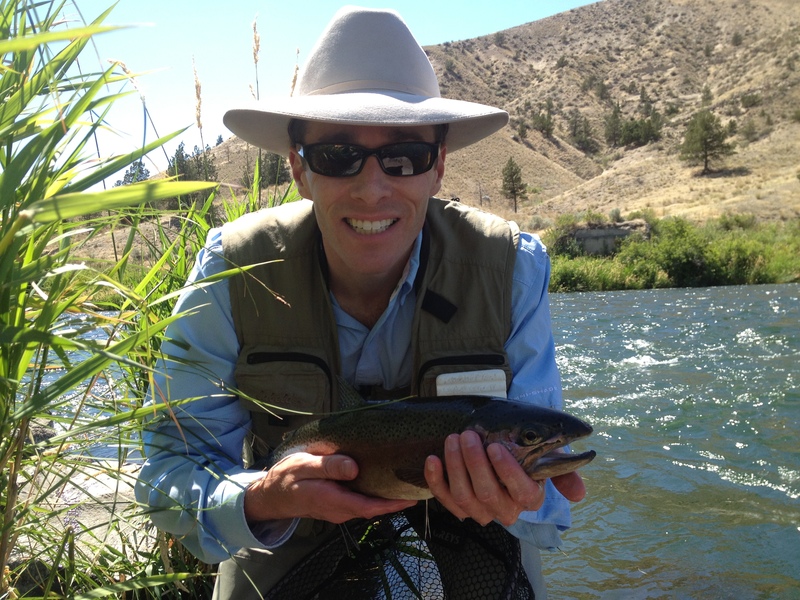 I learned that he enjoys fly-fishing with other researchers in the summertime and what motivates him to work so hard the rest of the time. I’m glad to bring you his perspective and I know you’ll enjoy getting to know Dr. Davis. John M. Davis, III, MD is a consultant in the Division of Rheumatology at Mayo Clinic in Rochester Minnesota, Assistant Professor of Medicine, and the Research Chair of the Division of Rheumatology. 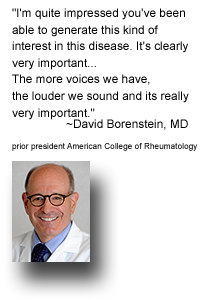 His work has included significant focus on Rheumatoid Disease, understanding ways to improve care and outcomes of patients, and understanding the impact of the disease on health with an emphasis on cardiovascular disease. He spoke with me about his background and what motivates him in his career. “And the disease has also been perceived as rarer than it actually is—we have found that in Rochester, Minnesota, the lifetime risk of RA is 3.6% for women and a 1.7% for men. So funding has not risen to the levels of some other chronic diseases. We do need the voice of patients to lobby for awareness.” Dr. Davis believes that recognition of the toll on patients’ and families’ lives, and on communities financially, is one way to get the world’s attention. Dr. Davis makes me smile when I hear him talk about hope of a cure and his family legacy of patient-centered care. But, he makes often someone else smile – his daughters! Another of the doctor’s talents is singing, having performed with choirs and a band in previous years. These days, he sings in the car while driving his girls to school. He laughs as he admits they often ask him to stop. I am so glad to here that someone finally figured out that rheumitoid arthritus needs a name change so that those of us who have this nightmare of a disease will stop hearing, it’s only arthritus take an aspirn and you feel better, yeah right thats like taking a knife to a gunfight. I really enjoyed this article, I’m a rheumatoid suffer, I am glad that there is so much care and research ongoing, it’s positively great. I look for to the day that there is a cure if ever, I will stay optimistic about it. Please continue the research for all of us that are suffering daily. A huge thank you to Kelly and Dr. Davis!! When I know nobody around me understands it’s awesome to read about those who do and are working hard to help the world understand this disease!! Thank you!! Thanks Kelly, Great interview. Many times I have become frustruated with my doctor, with my progress… I feel sometimes that my dr and I are like ships passing in the night when it comes to understanding what is going on. I have, several times, expressed this to my Mom, and her response always is, ” well, it’s because they don’t really know what to do” That gave me pause for thought, and it could be true. I imagine that in anyones given career, it could be very difficult to carry on with our jobs while not fully understanding everything. Sometimes I actually feel bad for them, what a complex family of diseases to deal with, especially without accurate testing! I know my form of RAD well, and it doesn’t always have the same pattern that other patients describe. As far as research dollars and name recognition, I just don’t get it. I see ads everywhere I go for RAD biologics, and have read about the Billions of dollars spent. Big pharma research doesn’t count I guess, and can’t help but wonder if they are afraid of research for a “cure”, then they would not collect 3k a month from each of us for the rest of our lives. It’s conflicting though, because some of these meds would not have been develped without the big pharm companies. I’m torn. Great interview, I wish I was his patient! I have RA and Sjogren’s Syndrome I wish I could find a caring doctor. One that made me feel like I mattered!!!!! Hi, Kelly! Good interview. I am really proud of you and the RPF Advisory Board! You have taken this so far so fast! 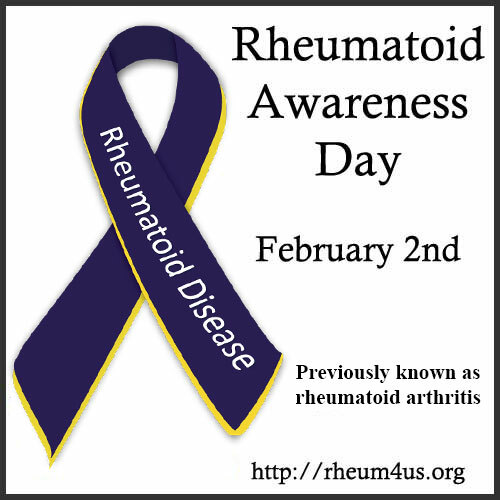 I pray that our bringing more public awareness to Rheumatoid Disease will speed the time when cures are found. I’m not very sanguine that a single cure will be found, but that would be ideal! What a day brightener — a Dr. who believes the name needs to be changed. Take a look at this article written by a ‘rheumatoid specialist.” No wonder the public is so unknowing about RA. I didn’t see in the article mention of what Dr. Davis suggests as a more accurate name, or what he, or the organization is doing to actively work on getting that accomplished. Is any additional information available on this and what can the rest of us do to get this really moving along? 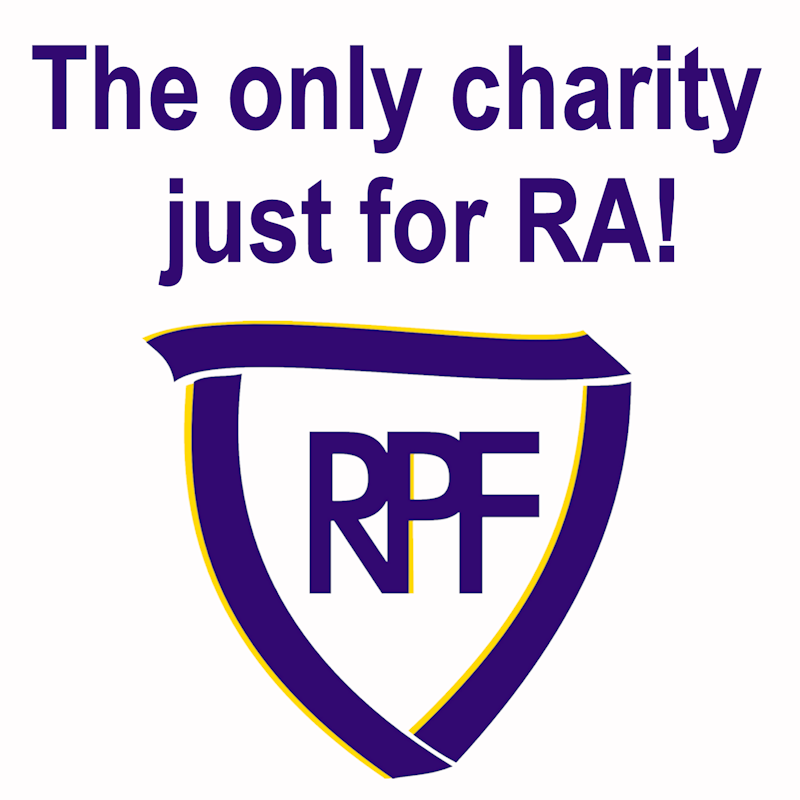 We ABSOLUTELY need a name change for RA. So glad I found RA Warriors! These excellent articles and information are so very comforting. Someone understands! My RAD does not show up in tests, even when I am in severe pain. Those suffering daily, need to speak out and not carry the burden of their pain in stoic silence. Dr. Davis is a gift to all of us who battle Rhuematoid Disease. He is a breath of fresh air and “walks the talk” Kelly captures in this great article. Thanks Kelly! I am so thankful for a wonderful young doctor who is so knowledgeable and interested in RA. With professionals like Dr. Davis on the board here, the Rheumatoid Patient Foundation is in good hands. I have suffered from RA for the past 25 years. My mother was diagnosed and crippled with RA at age 40 and she hoped there would be a cure before any of her five children might get it. She was sorely disappointed when I was also diagnosed at age 40. Mom suffered with fibrotic lungs from RA and passed at age 82. I can only hope and pray that we actually DO find a cure before one of my own children might get this horrible disease. Thanks to Kelly for all her tireless efforts to get Rheumatoid Disease renamed and adequately recognized. I am behind you 100%. I can tell you all first-hand that Dr. Davis is as wonderful as he sounds – I lucked out when my local provider thought I may have RA and referred me to Dr. Davis. He diagnosed me quickly and has been working with me to get the disease under control. I feel good knowing I have a provider that knows the latest and greatest on RA and has told me that the goal is to get me into remission or as close as possible. Thanks Dr. Davis!